In present days, more or less every person knows about insurance policies. People of all age groups, including children and older people, come under insurance cover under various schemes offered by insurance providers. 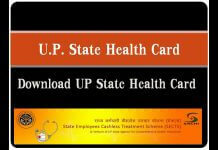 Various types of insurance are available as per the individual’s needs. Similarly, term insurance is also a form of insurance. Today we are going to talk about the best term insurance plan in India. Before we know about the best term insurance plan in India…at first, let’s know what term insurance is. 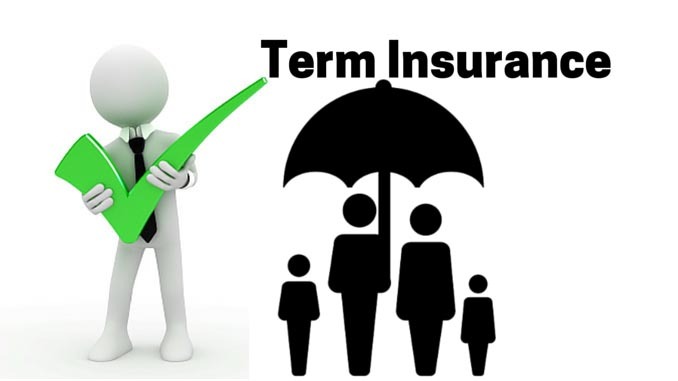 1 What Is Term Insurance? 2 What Is The Premium For Term Insurance? 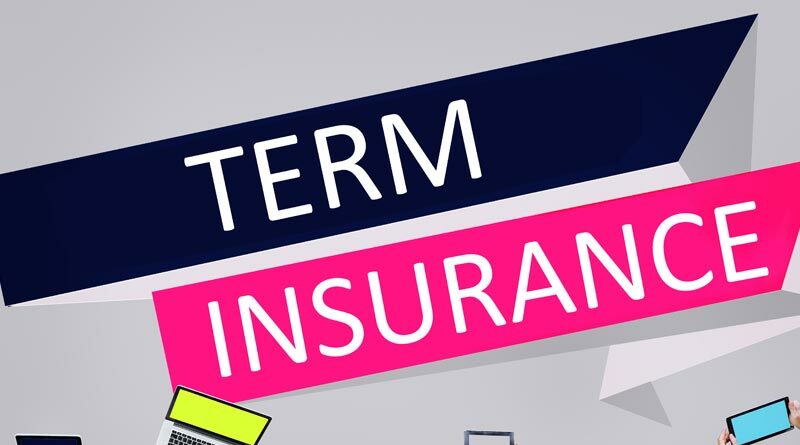 Term Insurance is the most straightforward language in an insurance product that provides the sum insured (cover amount) to the family in the event of the death of the policyholder. The term insurance policies provide risk coverage for a certain period. If the insurance policyholder dies in the course of the period given in the policy or in force or at the time when the policy is still active, then the death benefit is paid to the nominee. If the holder does not die during the policy term, the holder does not get anything when the expiry of the term. There is no shortage of term insurance plan in the market. Every insurance company has a term plan. What Is The Premium For Term Insurance? The term insurance policy is the lowest in comparison to other types of life insurance. Premium is low because there is no investment component and the amount of premium is used to cover the risk. There is no maturity benefit after the expiry of the policy term. On the death of the policyholder, the survivor will get the amount of the policy. Economic advisors mostly recommend taking a term policy. It provides financial security to your family in your absence; When the life insured dies, the survivor gets the benefit of it. It provides a death benefit to the nominee. If the policyholder dies during the term of the policy, the survivor person is given benefits. The policyholder gets tax benefits on the sum of premium, under Section 10 (10D) and Section 80C under the Income Tax Act of 1961. If the policy persists till the term of the policy, maturity benefit is paid on the amount of premium paid so far. If you start the term insurance early in your life then you will have to pay fewer premiums. 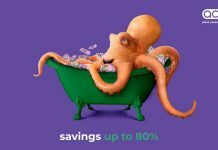 The younger you are when you buy insurance, the lower the insurance premium. 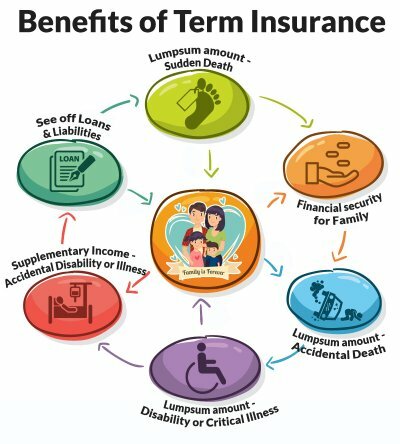 Term insurance also provides additional benefits such as death or disability among serious illnesses or accidents. Life Insurance companies offer a special exemption to the amount of sum insured, or non-smokers or women investors because no particular risk is associated with their life and thus honors them. 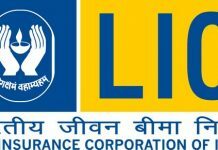 From which company you buy your term insurance, it does not matter much, in this post; we will discuss some of the best term insurance plans in India. 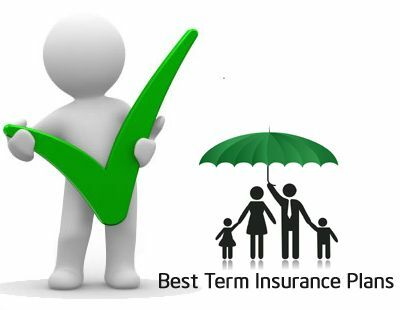 You can buy these best term insurance plan in India. The process is online through the company’s website. Keep in mind that for some reason the insurance company wants to do a medical check-up, then the investigation can’t be online. During the purchase process, you can avoid the misuse of the agent/adviser. It is very important to read the reviews before buying any insurance policy. Every company provides different types of coverage. So, do not forget to go through the review to choose the right insurance policy for your requirements. Compared to offline plans, online term insurance plans can be up to 30-40% cheaper.